5 stars - "Epson Stylus Photo R2880 Inkjet Printer with CISS" by Victoria, Written on 2010, 14:45/08/16 Each printed photo - more in love with this printer! 5 stars - "Epson Stylus Photo R2880 Inkjet Printer with CISS" by Mag Tibbs, Written on 2012, 18:43/06/20 We just changed our old printer with this one. I wonder how did we work with an old one? I cannot even compare. It's great. 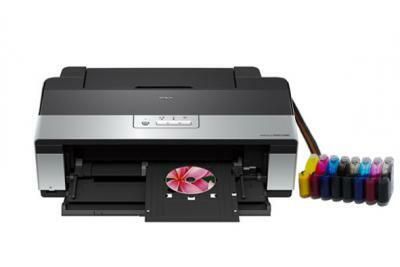 Buy Printer Epson Stylus Photo R2880 with CISS and make 30 times more quality prints for the same money! Epson Stylus Photo R2880 provides professional photo printing, providing large page size. This device allows you to get great prints on a variety of different media formats including format A3+. It is an ideal choice for photographers, artists and designers. This photo printer is suitable for use even in the professional photo labs, but also it will become indispensable for students, pupils and for a common user at home. 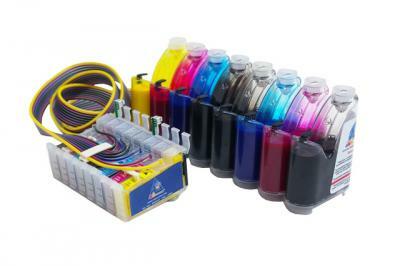 Professional printer Epson Stylus R2880 is equipped with eight-color printing system. 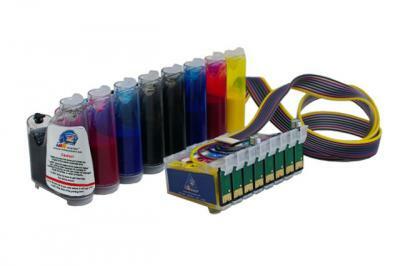 In addition to the six colors common for photo printers, this device has 2 extra colors. They are gray (LK) and light gray (LLK). With the help of an extended range of neutral colors, you can get amazing beauty monochrome photos. R2880 epson provides black-and-white images, photos in sepia with deep shades of color and amazing definition. Epson Photo R2880 also prints full-color photos in excellent quality. The device provides such a wide color gamut that even the pictures with the richest shades of red, blue and green appear to be great! The model also reproduces the Epson printer drawings made with watercolor or pastel. Light, skin tones come out soft and realistic. It is easy and convenient to use Epson R2880. This device вЂ“ is great for those who want to get high-quality large-format printing without dealing with a lot of options. The photo printer is equipped with user friendly software. The programs will help you to optimize the operation of this model: from the choice of necessary photos and their processing to sending them to print. We highly recommend to check rather new printer models of the same series from Epson company вЂ“ Epson Stylus s22 and epson stylus office bx305fw, which have the same functionality as the presented printer model, they are the following functions: copying, scanning, sending information by fax, and of course, printing of any complexity of both color and black and white images. The multifunctional device provides many opportunities for creating photo images and is able to work with a wide range of media (only some of them are вЂ“ A3, 100 x 150, 200 x 300, A4, Letter, Index cards, Panoramic (210 x 594). You can create borderless photos and illustrations on CDs. R2880 printer can even print on roll paper up to A3+ format. This is very convenient when printing panoramic images. We suggest you not to limit yourself and add some economy to the high quality and convenience of the printer R2880. That's why our online store offers to buy the device with the preinstalled CISS and you can make it right now by ordering the product on our web site. 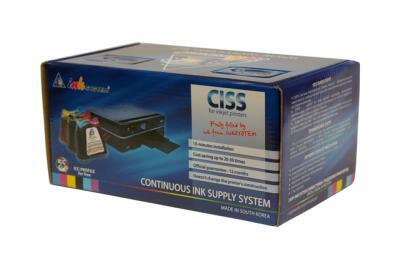 With the help of CISS you will reduce printing costs to a minimum, without losing print quality, what will make you very happy. 0 mm top, left, right and bottom - via custom setting in printer driver. Each printed photo - more in love with this printer! We just changed our old printer with this one. I wonder how did we work with an old one? I cannot even compare. It's great.